Science Online London: FEAR of science blogging! How is the web changing science? 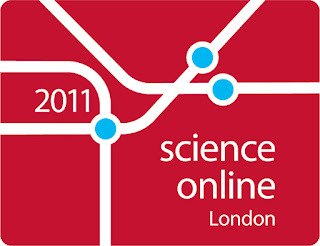 Join Science Online London 2011 to find out. My brain tried to find out that with others on twitter the best brainstorming online tools on web. I tweet a lot of thoughts, and questions about science blogging and science policies during the live stream. And here is some of the problem that I'm interested in it. Personally i hate speaking on behalf of employers or organizations, I hate that fear of say something unprofessionally, specially when you wondering or blogging about your job or your career. You know that style of speaking/blogging "I'm awesome and my employer/organization is the best" we say that, because we don't want to loss our jobs.